We are a repairer for most leading insurance companies. 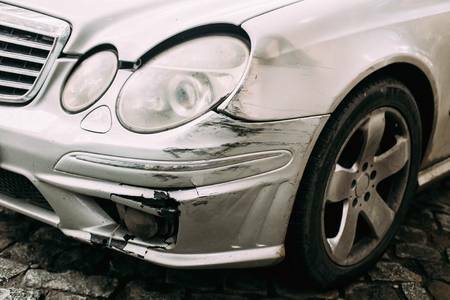 Whether your vehicle has been involved in an accident or has received minor paint or bodywork damage, Crash Bang Wallop Crash Repair Ltd can repair it through your insurance if needed. If you have an accident and need to use your insurance just use these three steps. 1. Call us before your insurance company! We will arrange with you at a suitable time to take pictures of the damaged areas of your car. 3. Once we have been authorised to repair your car, we will contact you to arrange a repair date. It’s that simple, you can call us at any time, and we will keep you up to date. Everyone knows having to pay your insurance excess can be expensive and always comes at the wrong time. But not anymore, we pay your excess charge! We will pay a maximum of £350 towards the excess, leaving only the insurance company to pay the remainder. Your excess is a fixed amount that you must pay, if you damage your car, and want to use your insurance. So, if your excess is £250 and your car will cost £1000 to repair, your car insurance provider will only pay £750, leaving you with the remaining bill of £250. Most people don’t know that you can choose what garage your car goes to in the event of an accident and by choosing Crash Bang Wallop, we can help you with paying your excess. We are the only body shop in South Wales offering this service. Your insurance company will tell you that if you don’t use their body shop, you will have no warranty on the work carried out, but there is no need to worry, as we will give you a warranty on all the work we do on your car and supply a free courtesy car if required. 6 key points we can offer you as your repairer, but your insurance company’s ‘approved repairer’ just can’t offer! 1)We will never take your excess for non-fault claims, and if it’s your fault, we will pay the first £350 of your excess. 2)Free courtesy cars with all insurance jobs regardless of who’s fault it is, available same day. 3)Always get to keep your car, even if it’s written off. Not applicable to cat A/B. 4)Receive reward points that can be used for extra work on your vehicle for free. 5)Free recovery from where your vehicle is being stored. 6)Have your car repaired in the most reputable body shop in Cardiff. Important information you should know before contacting your insurance company. You’ve had an accident in your car, but how much do you really know about the insurance process that you may need to use. This information has been created for our customers to give them advice and clear some of those common misconceptions with insurance claims. Q) You need to drive around three garages to obtain an Insurance Estimate because your insurance company asked you to? There are no requirements for you to do this, it’s purely to help the insurance company get the cheapest possible quotation. If your happy with the first body shop you go to, you shouldn’t be expected to do the running around for them. Just because they asked you to do this, doesn’t mean you are legally obliged to! If your happy with our quotation and you value your time, they must accept your choice. Q) You need to report your accident within 24 hours or the claim is invalid? If someone has crashed into your vehicle, there liable for your damages. You have plenty of time, and the insurance company are trying to make you make a snap decision. Insurance companies have a duty of care to their clients, especially if you’ve been injured. So, take your time in deciding your next steps. Call us for advice if needed. Q) You may have to pay your excess even though the accident wasn’t your fault? Sometimes they charge you the excess before they determine who’s fault the accident is, even if the other driver admits liability. However, they promise to pay you the excess back when liability is found to be the other drivers fault. Often this doesn’t happen, they usually just reduce the following years insurance premium and decrease your monthly premium payments. If you use our insurance services for a non-fault claim, you will NEVER be asked to pay your excess. Our clients would need to contact us prior to contacting your insurance company for this service. Q) You must use the insurance companies approved garages for your repairs? No! This is your Vehicle! You have the right to decide where it goes. They usually will give you a short list of repairers, but you really need to check who these repairers are. These body shops have some of the lowest reviews online. Most of the insurance companies have shares in the repairers they are trying to send you to, they are more concerned with keeping their costs down by sending you to one of their garages they have huge discount with. They sometimes threaten to double your excess if you decide to choose your own garage. If this happens call us, we may be able to pay more towards you excess, keeping your excess to less than what your insurance company would charge you! Q) You’re not entitled to a courtesy car if you choose us as your repairer, instead of using their ‘approved’ repairer? Insurance companies use tactics to stop you using body shops they don’t have an interest in. Sometimes they may say you can’t have a courtesy car if you use our services. If this happens we will supply a courtesy car free of charge through our partners Enterprise rent a car. Q) If your car is written off you will get the chance to buy it back and have money? It depends with which insurance company you’re with, but it doesn’t always happen. With our in-house insurance services, we can guarantee that you will get the vehicle back and money if this is a car you really don’t want to lose. Better still we value your car independently, so we will work with you to value your car and you will receive the best price possible. Only available with non-fault accidents and Cat C/D. So, if you want your vehicle repaired with us for insurance related needs, we can help! You will receive reward points to use towards free repairs you may have on your car like extra scratches dents or damaged alloy wheels free of charge, all for using our insurance services! Ask in store for our offers and terms. Remember to call us first before calling your insurance company, and we can offer you free advice for your needs.